I had been playing with video for quite sometime now and just recently decided to invest on it. I mainly do photography, which may help to cover half of the gear needed for a simple cinematic film. For the other half, I need to buy them. One of the items I bought was a slider. Since I’m very short of budget, an inexpensive slider that gets the job done is what I’m after. My choice of slider is Edelkrone (or the likes). It gives the camera a lengthy travel plus having a small form factor. But these sliders are expensive currently for me. When reading slider reviews and recommendations, the concept of roller bearing slider vs friction-based slider came out. They are very similar to each other and the only difference is how they ‘groove’ on the rails. The friction-based slider literally touches the rail. This means that the mounting plate is in direct contact with the rail when sliding. 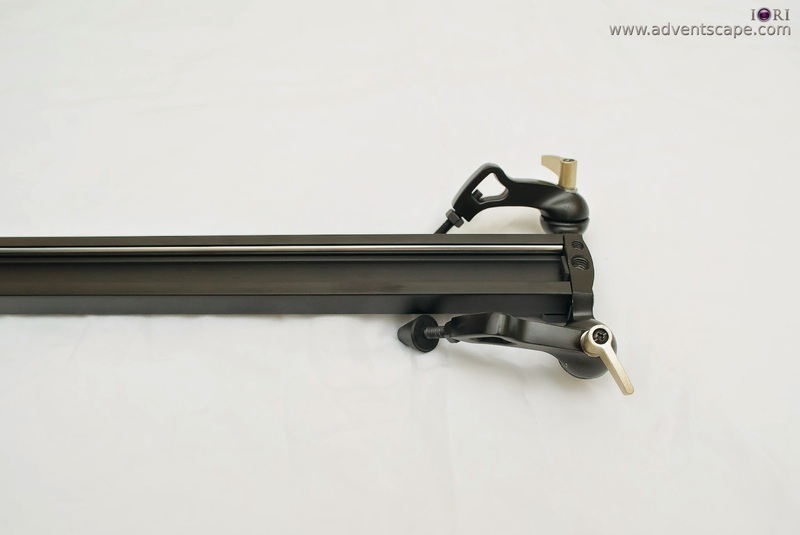 Roller bearing slider uses ball bearings in between the mounting plate and the rail to slide smoothly. I'd go with with roller bearing sliders for a smoother slide on the rail. But it depends on the price. If it's really expensive, I'd just go for a friction-based slider. 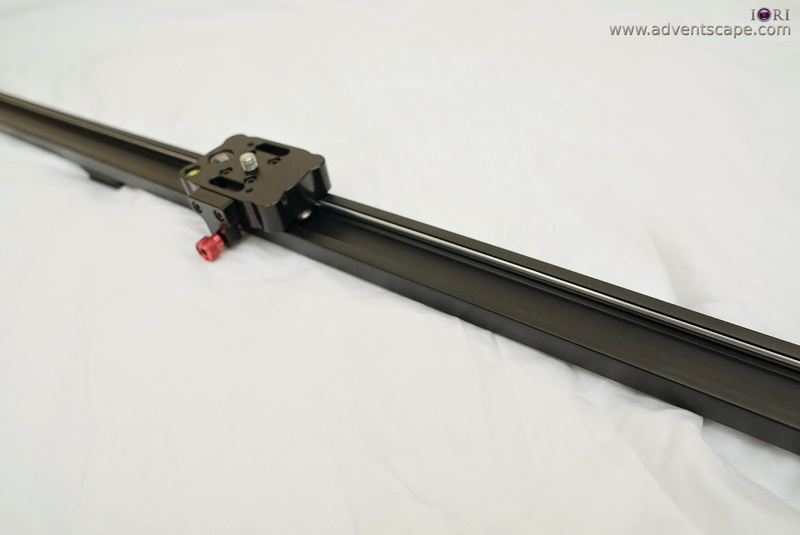 But if the price is good, I'd go with the roller bearing slider. Unfortunately, I haven’t got the chance to take photos of the packaging. It was already too bulky so I decided to unwrap it in the office and just take what I needed from the box. If I’m going to sell this again, I don’t think the next buyer would appreciate having the box. The box is really long and big as it covers the whole 120cm rail and should cover the whole slider. I think the dimention is 130 x 20 x 20 (L x W x H). So it’s noticeable anywhere you go. I grab some photos from the actual ebay store that I bought. 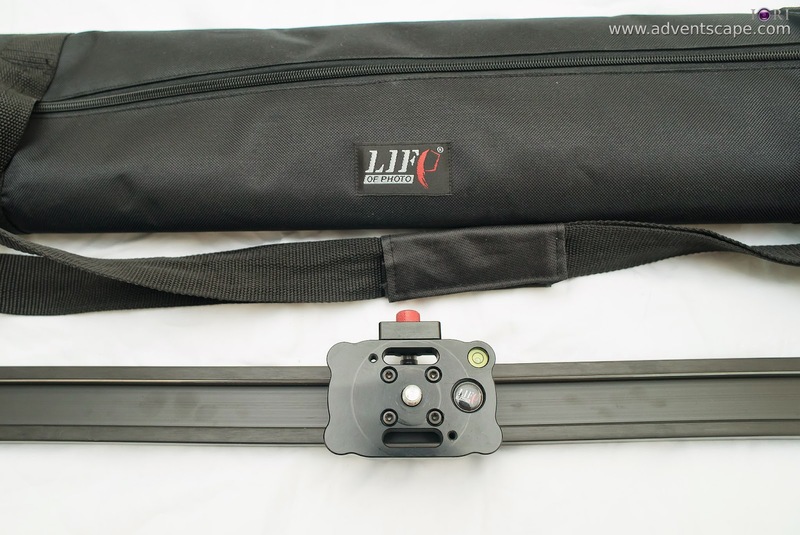 One of the reasons why I bought this slider is because it came with a travel bag. So I just put everything in the bag and away it goes. So onces you open the box, you’ll see the bag first. If you open the bag, you’ll see the slider inside. Everything is already screwed into the slider. 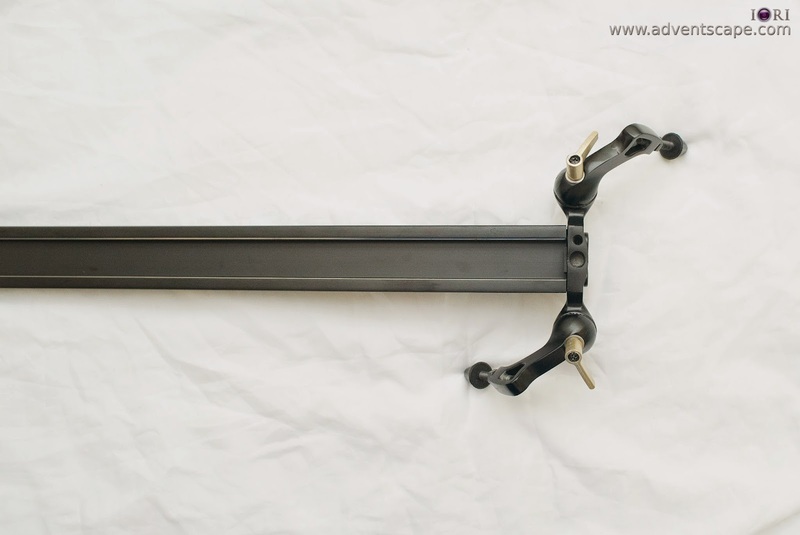 The sliding mount mount is already in place, the legs are neatly attached and the whole slider is wrapped in a very soft styrofoam wrapping. For the price I’ve paid, the packaging gives it further value. Once you slide it for the first time, it gets messy. Grease will also glideon the rails. It’s normal as it’s trying to break in the whole length of the rail. There’s also adequate oil / grease present for the sliders life. I don’t think I need to buy further lubrication for this slider. This keeps the bearings fresh and resistant to rust. The slider looks sturdy. I had a Benro S4 video head attached to the sliding mount and mounted my Nikon D800e with Nikkor 28mm F/1.8 prime lens and it slide flawlessly. But when I changed lenses from 28mm F/1.8 G to 70-200mm F/2.8 VRII, it flexed at the middle. I guess it couldn’t be helped as the slider is long (120cm) and the weight of the Benro S4, D800e and 70-200 took its toll. Though the flex is there, it’s not so bad. I guess I’ll just use a portion of this slider if I’m going to slide a 70-200. The slider has 4 feet. Each foot has 2 adjustments. There is a long screw which controls the height of the slider on one side. I think these screws are more on leveling the slider on slightly uneven ground. The next adjustment is a screw knob. The screw knob controls where the foot falls on the ground. You can also use this knob to fully swing each foot inwards towards the slider to make it more compact. It gets the feet out of the way and easy to insert inside the bag. There are a couple of ¼” and 3/8” mounting holes scattered on the rail. Most of them are at the furthest edges and some at the middle of the rail. 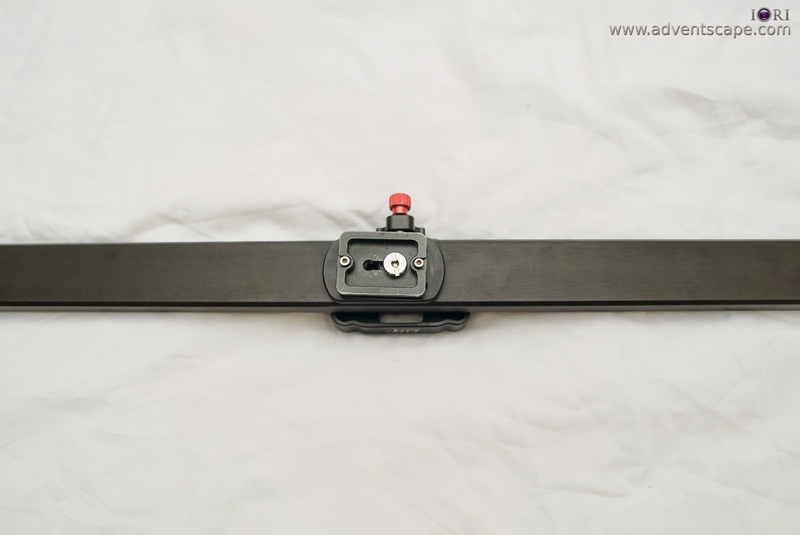 The mounting holes are used to fasten the slider on a tripod or on a lightstand. If your tripod could support the whole contraption (slider + video head + camera + lens + accessories), you could probably get away by mounting the slider at its midsection. If not, you could use 2 lightstands to mount on both sides for more support. My tripod could not support the whole rig. But I still mount the slider at its midsection and just slide on small lengths. If I wanted to slide a bit further, I hold the other end of the slider with one hand and slide the whole rig with the other hand. Though 2 lightstands can give you more stability and length when sliding, the ease and simplicity of just using 1 tripod to carry the whole slider is more interesting for me. Like a camera, I want the slider to JUST ATTACH to my ballhead and be removed easily when I don't use it. Thus, I just attach a quick release plate and be done with it. The mounting plate is sturdy. It only has one ¼” mounting screw. You can directly mount your camera body on the mounting plate. But it’s better to have an inexpensive ballhead there so that you can quickly lock and release your camera body. But if you’re going to add tripod head on the mounting place, you need a ¼” to 3/8” screw adaptor. Tripod heads, either photo or video, mostly have 3/8” mounting holes. Since the mounting plate only has a smaller ¼” mounting screw, you need to increase its size through an adaptor. 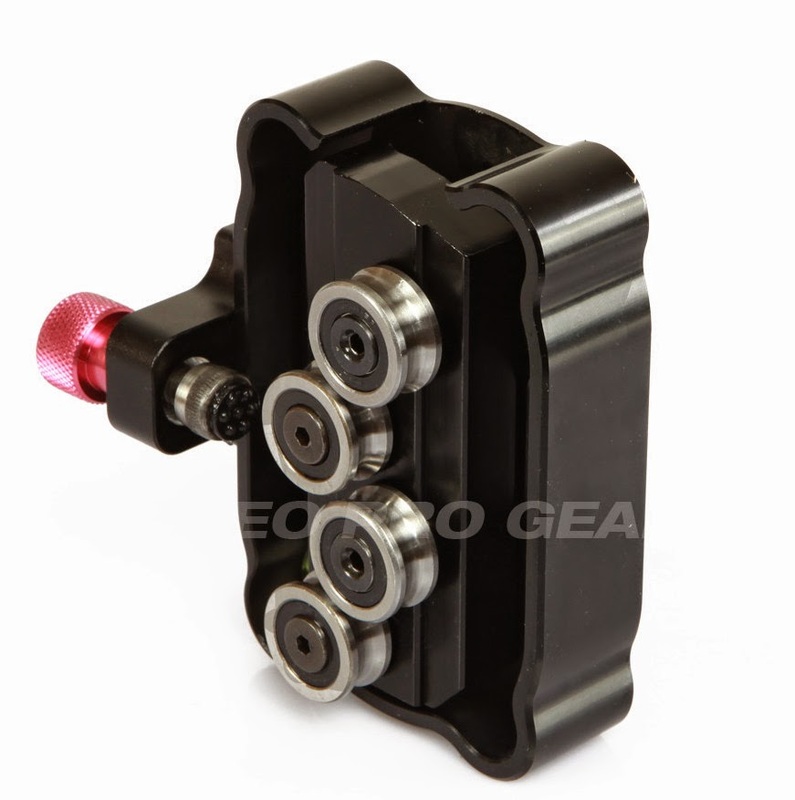 The mounting plate also has a friction screw that could stop it from sliding when tightened to it's fullest. It is coloured RED as shown on the photo below. When fully released, the mounting plate slides smoothly on the rail. 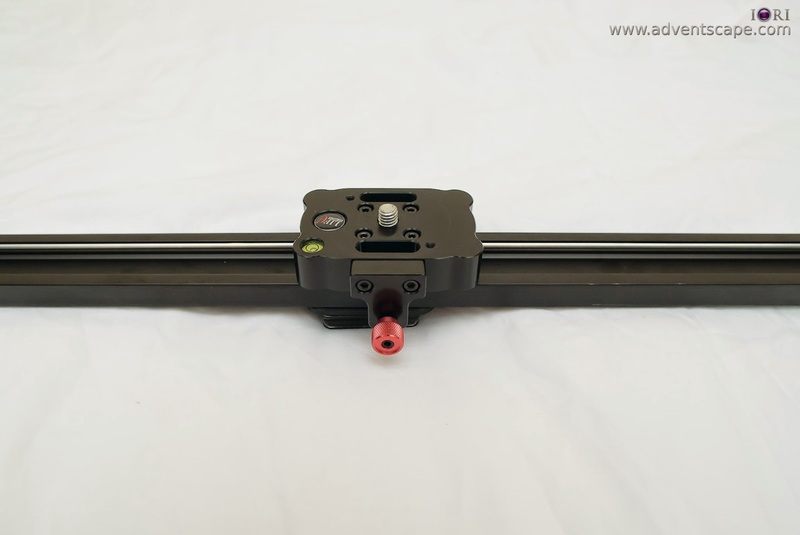 As discussed above, the mounting plate on this slider is roller bearing. It really slides flawlessly on the rail. But be careful when to loosen the tight on the friction screw as your camera could easily accelerate across the length of the slider. In particular, if you have your slider inclined at an angle. 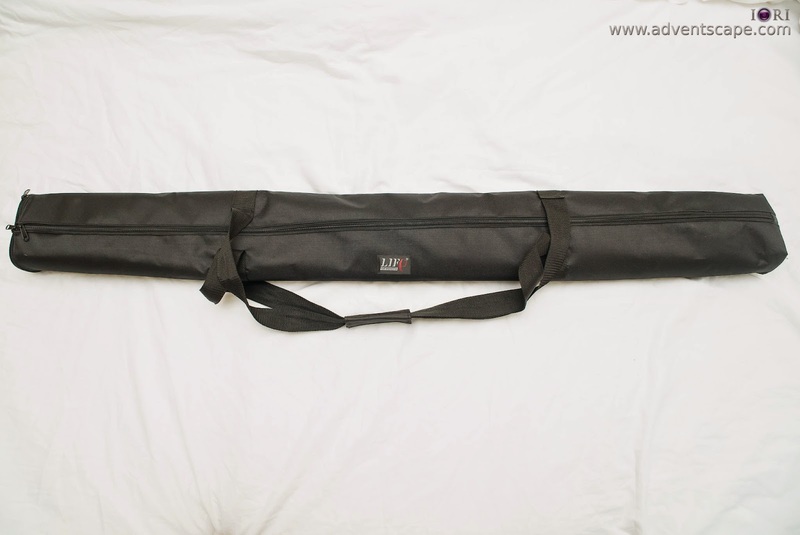 I was looking at sliders for quite sometime now and the closest slider I actually tested is a Kamerar 47” (120cm) video slider. If you’re in a budget, you must have come across Kamerar sliders. They are friction based sliders with a good price. I believe it has a good value, especially if it’s brand new. But I don’t know how it would par after several uses. Sliding with the Kamerar is smooth, but offers more resistance. Sliding with my Slidecam 600 is smoother with much lesser resistance. They both flex given heavier loads. Mounting screws are also scattered with the Kamerar compared to my Slidecam 600. There’s not much difference between the 2 in this area. 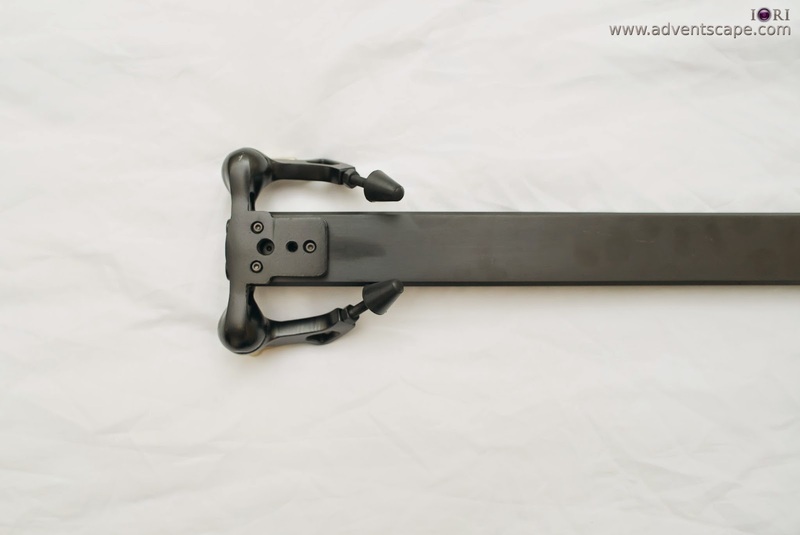 Slidecam’s legs have 2 adjustments for each leg. Kamerar only has one. 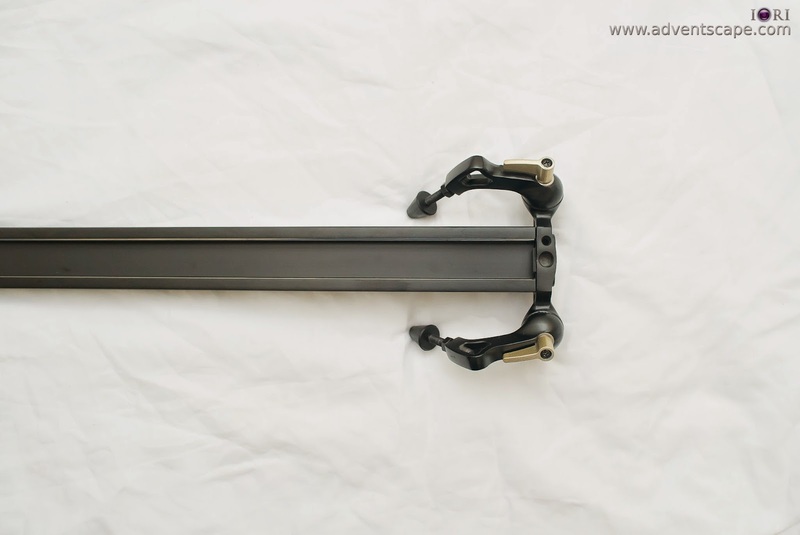 But I don’t think these legs will give you more freedom in setting up your slider anyway. But the Slidecam’s legs do fold inward so that it’s seamless when you insert it the bag. The price I've seen for a Kamerar is $180 for 120cm. 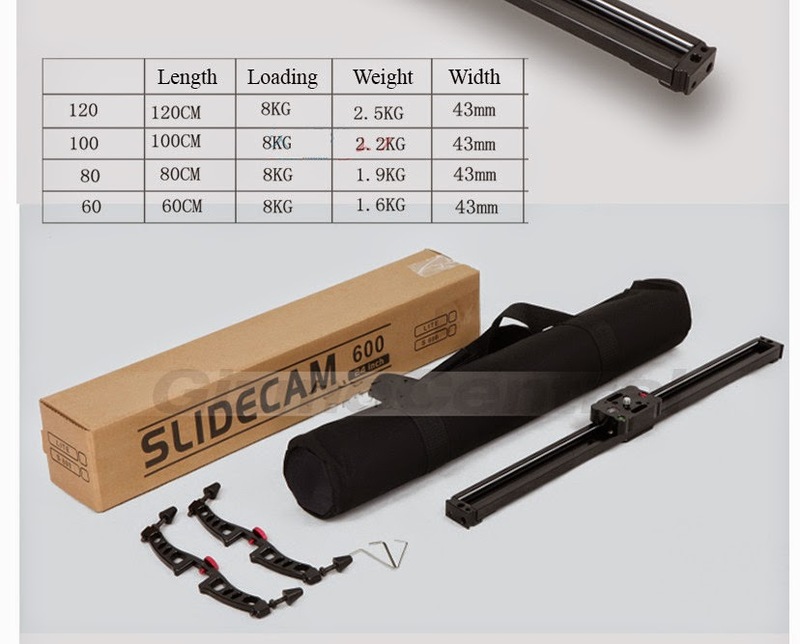 I paid $175 for 120cm Slidecam 600 slider on ebay. I would have gone with the Kamerar had I not dived into ebay and found this roller bearing slider. I think I made a better choice. For what I paid for and the performance it gives, it’s already a good slider. I've very happy for what I had paid for, for the purposes of what I'll use it for and the savings I made (towards the better slider in the future). I do recommend this product (or anything that looks like it). If you're going to pay a bit more, roller bearing sliders will give you better performance overall. The addition of the bag is a great plus that gives more value to the purchase. @Unknown - Hi mate, thanks for reading. For more affordable sliders, Slidecams have good value. It won't break the bank while giving you the smooth slide camera movement you want. Just be careful NOT to overslide your camera as the groove is very smooth. I'll also recommend 80cm. 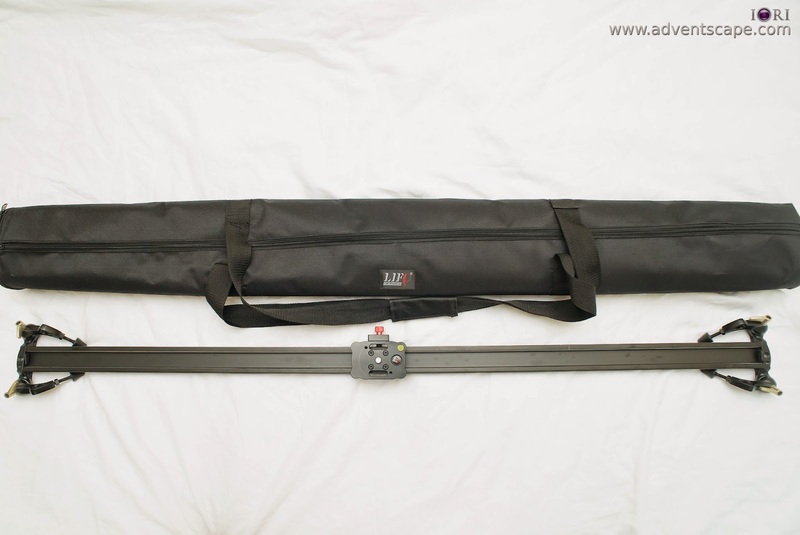 It has enough length of travel while not being so cumbersome to carry around.